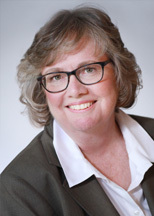 Mary Pat Gallagher focuses her practice on federal and state court trial and appellate litigation, with an emphasis on employment and labor law, insurance defense, and complex commercial litigation. Ms. Gallagher regularly represents management in employment-related litigation before state and federal courts and administrative agencies and has experience in a wide range of matters involving alleged discrimination, hostile environment, retaliation, wrongful termination, wage and hour, contract disputes, and other employment-related claims. Ms. Gallagher has also conducted internal investigations of workplace matters for both public and private sector employers. Her experience also includes traditional labor matters, such as unfair labor practices proceedings, collective bargaining negotiations, and grievance and arbitration proceedings on behalf of public- and private-sector employers. In addition to her employment practice, Ms. Gallagher has litigated a broad range of actions in both state and federal court, including unfair competition, trade secret misappropriation, breach of contract, and a wide variety of business torts. Ms. Gallagher also provides counseling and training for management on a wide range of issues, such as privacy in the workplace, leave of absence management, wage and hour issues, prevention of unlawful discrimination and harassment in the workplace, and implementation of substance abuse policies. Ms. Gallagher has extensive experience in developing and implementing company policies on these subjects. Ms. Gallagher has served as a Barrister of the Reitman Employment Law American Inn of Court, the only Inn of Court in the U.S. dedicated to teaching employment and labor law litigation. She has also served as a member of the Supreme Court of New Jersey District XI Ethics Committee, overseeing complaints against lawyers by members of the public, and as an arbitrator for the Superior Court of New Jersey.